Watch out for those line drives coming at your head. 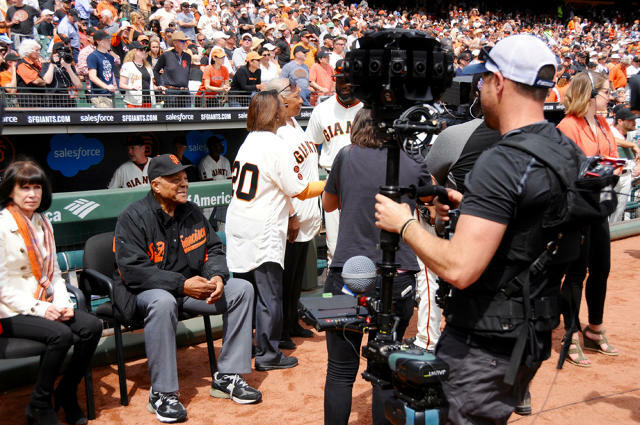 When Willie Mays, one of the five greatest players in baseball history, took to the field at AT&T Park in San Francisco on April 7, more than 43,000 Giants fans watched from the stands as he waved his cap and soaked in their adulation. 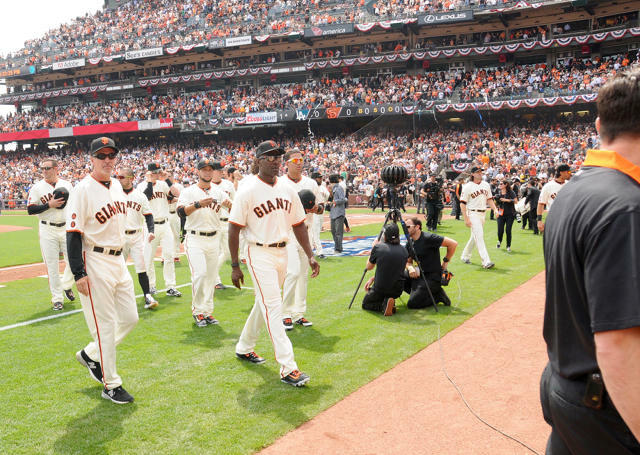 Now, Giants fans can witness The Say Hey Kid’s on-field appearance during Opening Day ceremonies from a much closer vantage point, thanks to virtual reality. The Giants are the latest pro team to try out virtual reality, joining other Major League Baseball teams like the Tampa Bay Rays. The NBA, NFL, and NHL have all made their own forays in the VR world, too. The Giants think there may be potential in a consumer technology that is expected to be worth $30 billion by 2020. For many fans, the next best thing to being at a game in person is up-close virtual access to their favorite players. For example, imagine lying on the ground in between 2014 World Series MVP Madison Bumgarner and a catcher as MadBum threw a Spring Training pitch. Or imagine standing directly behind a Giants hitter in a batting cage, your view so close that his bat seems to almost graze your nose on the back-swing. Or maybe you want to ride with star closer Sergio Romo as he drives to the ballpark? Those are the kinds of experiences included in a series of VR videos that have been produced for the Giants by Jaunt, a leading virtual reality technology company that has received $65 million in funding from Disney. On Opening Day, fans got their first look at the product at a cafe behind the left field bleachers. For many participants, it was the first time they had ever seen virtual reality. These were the kinds of reactions that the Giants were hoping for when they began thinking internally about how they might utilize virtual reality technology. Those discussions led the team (which has won three World Series in the last six years) to partner with Jaunt. The Giants plan to partner with Jaunt on the production of additional VR content all season long. As the spring training video was being unveiled on Opening Day, two Jaunt film crews, each lugging one of the company’s high-end cameras, were prowling the field, the broadcast booth, and the stands, shooting the next installment. Shooting VR in the middle of a baseball game is actually pretty dangerous work. Jed Seus carried one of Jaunt’s cameras all over AT&T Park on Opening Day. “There were pop flies coming right at me,” he said. In order to produce footage that would truly immerse fans in the action, he had to position himself in the middle of that action. And he wasn’t carrying a mitt.